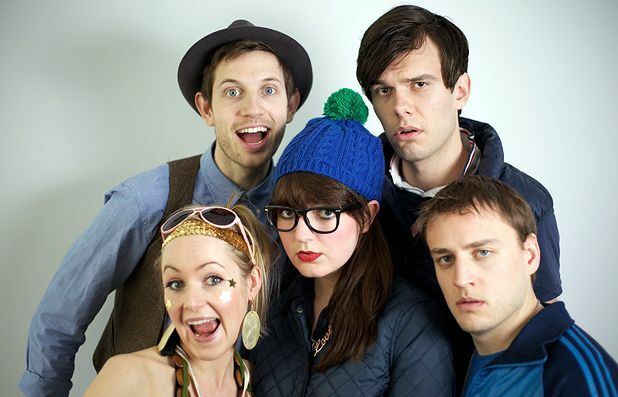 This quintet has garnered a zillion YouTube hits for their amusingly satirical ‘Gap-Yah’ sketches and there’s a murmur of recognition as Matt Lacey wanders on to deliver a new atrocity from the plummy, chundering Orlando. In a curious twist of Pub Landlord proportions, there’s a number of loud Orlando-types in the queue, clearly not put off by their imminent portrayal during a show which is, unfortunately, high on threadbare routines. The title of the show is off-putting enough – The Unexpected Items Are on It, In the Zone, Off the Hook and Down with the Kids – but worse still is their contribution to the current vogue for packing in as many ‘celebrities’ as possible into a sketch hour, as though merely having someone take the mick out of Alan Rickman, Piers Morgan and Blue Peter equates to a job well done. Afraid not, people, it just smacks of lazy thinking. It would also be interesting to hear what Chris Morris would have to say about the very Brass Eye news item about Facebook. On the upside, the superhero thread does have a spectacularly messy pay-off near the end while the Jessie J Puritan rap has legs. There’s very little unexpected here other than how shallow the crew’s material turns out to be. Gilded Balloon Teviot, 622 6552, until 29 Aug, 4.30pm, £9–£10 (£8–£9).